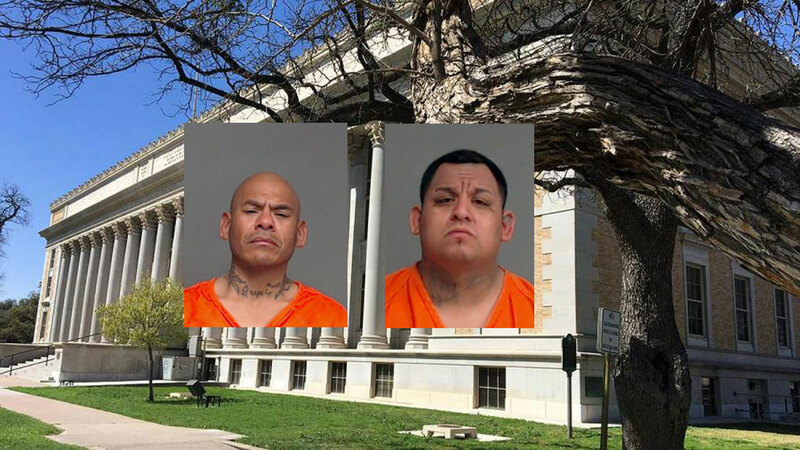 SAN ANGELO, TX — A San Angelo father and son facing life in prison for aggravated robbery took opposite pleas Monday in District Court. Ruben Ortiz Sr. took a plea deal and was sentenced to 25 years in prison. Ruben Ortiz Jr. was offered a plea deal by the District Attorney’s office for seven years deferred adjudication but refused the plea deal. The D.A. withdrew the plea deal and now Ortiz Jr. is facing 5 to 99 years or life in prison and a fine of up to $10,000. Ortiz Jr. is now set for a jury trial in March. The father and son are accused of using a shotgun to break into a house on N. Van Buren St. in San Angelo on Aug. 29, 2017 along with codefendants John Acosta, David Salas, Oscar Ornelas, Lorenzo Rueda and Gavino Zapata. All the defendants were caught on surveillance video and identified by law enforcement. Court documents show that Ortiz Sr. was also accused of burglary of a habitation in which he broke into a house in eastern Tom Green County and stole the shotgun used in the aggravated robbery. He was sentenced to 25 years in prison for that charge as well on Monday as part of the plea deal. Ortiz Sr. was also ordered to pay $1,476.23 in restitution by District Judge Brad Goodwin. Ortiz Jr. was in court before Judge Goodwin Monday morning. According to court documents, the state offered the seven year plea deal but Ortiz Jr. withdrew his guilty plea in exchange for the deal. The D.A. then withdrew the offer and set his trial date for March 15. Oscar Ornelas took a plea deal and was sentenced to eight years in prison. David Salas also took a plea offer and was sentenced to 15 years in prison. John Acosta and Lorenzo Rueda have jury trials scheduled for March 2019 along with Ortiz Jr. and Gavino Zapata is on the docket for a jury trial in April 2019. Isn't this nice?! The apple doesn't fall far from the tree does it!